Condo Association Committees are an excellent way for a Community Association to increase engagement and offer more value for Owners. Different Committees have different roles. Typically a Communications Committee will be responsible for increasing outreach and engagement within a community. They function best in larger communities where the Association has a bigger budget and there’s more going on, like exercise clubs or parties. If you are considering starting a Condo Association Communications Committee, or just want to brainstorm some ideas, this blog has you covered. Here are three Condo Association Communications Committee project ideas for your community. 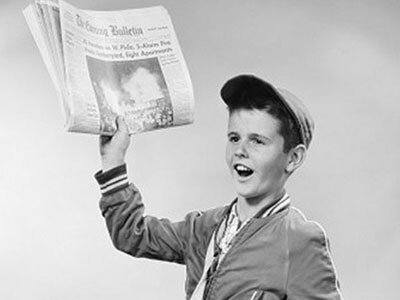 Start a Condo Association newsletter for a good project – paperboy not included. Newsletters can serve multiple valuable functions in a community Association. First and foremost, they can be a vehicle of communication for the Board to the rest of the community. You might be able to discuss issues such as major projects or advertise upcoming events. If you have a community that gets along, you can also use a newsletter as a way to highlight notable activities of residents. The biggest challenge with a newsletter isn’t starting it – it’s maintaining it. Make sure that you aren’t too ambitious. Aim for a short format with features you can keep up with consistently. You can include such content as blog posts from the Board, major project updates, community events, or public service announcements (i.e., change your smoke alarm batteries). Make sure that anyone who signs up to write regular blogs is on the Board and understands what is needed and when. Finally, pick a frequency that makes sense. Starting out, don’t be too ambitious. Two or four times a year is probably more than enough. If you have a lot going on or particularly dedicated members, maybe aim for more, but otherwise, keep it simple. A flashy website is a great asset for any community to have. If your website hasn’t been redesigned recently, updating it is a great project for a Condo Association Communications Committee to take on. These tips to building a great external website or internal website will get you started. A Condo Association Communications Committee can help ensure that the website looks good, is well maintained, and is kept up to date. As with a newsletter, refreshing the website is one thing, but maintaining it is another. Make sure that you consciously determine what parts of the website will be static and which parts will be dynamic. For things that need to be updated, like events or blog posts, one of your Committee members should take the job of keeping them current. If these mean nothing to you, you need a good Communications Committee. Depending on your demographics, a social media presence for your community may make sense. Be sure to take privacy into consideration, such as whether your accounts are public or not. Social media presents the biggest challenge for a community, in that you need to make sure it is maintained and providing useful information. More than any other Condo Association Communications Committee effort, this one mandates constant updates. Social media content will be similar to that which would be offered in a newsletter, but with more frequent updates. Good communications are vital to the success of any organization. These projects will give you a way to boost engagement and get volunteers engaged in your community Association. Just remember to make sure people are willing to commit to them for at least a year. Stale communications are always a big turn off, but effective communications always lead to a better Condo life.